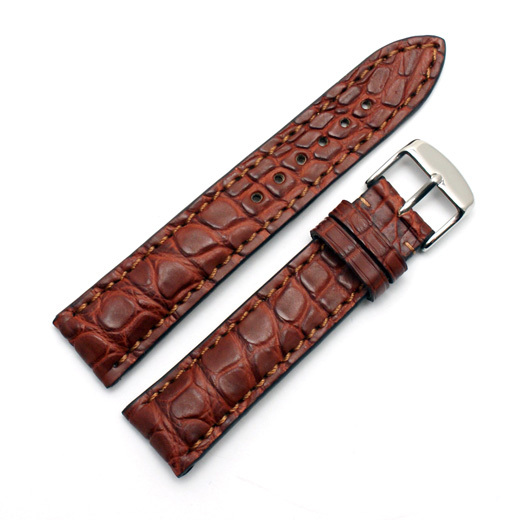 Finest Quality, hand made in Germany using a 172 step production process and with a keen attention to detail, this matt mahogany brown watch strap is made of genuine alligator skin with matching stitching and thick padding. The lining is made from durable, anti-allergic calf leather in beige colour and the edges are coated with natural rubber. 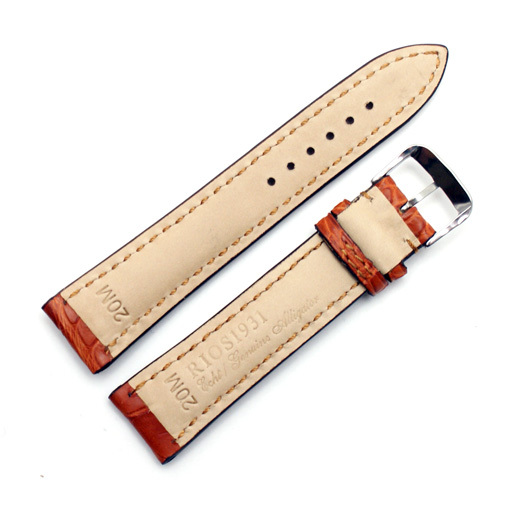 The thickness of the strap makes it a great match for chronographs and pilot watches. Not exactly what you are looking for? 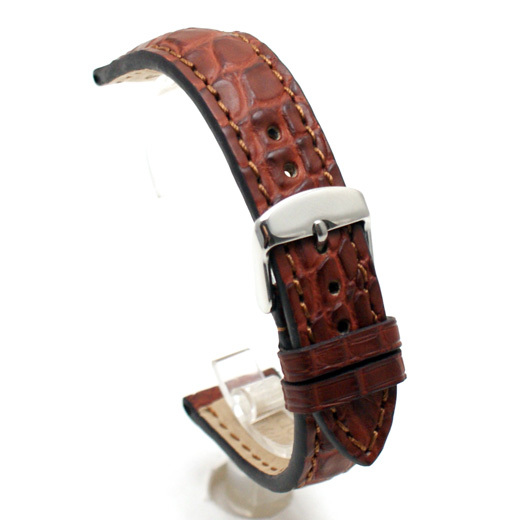 We have a wide range, see the men's alligator skin watch strap gallery for other options.